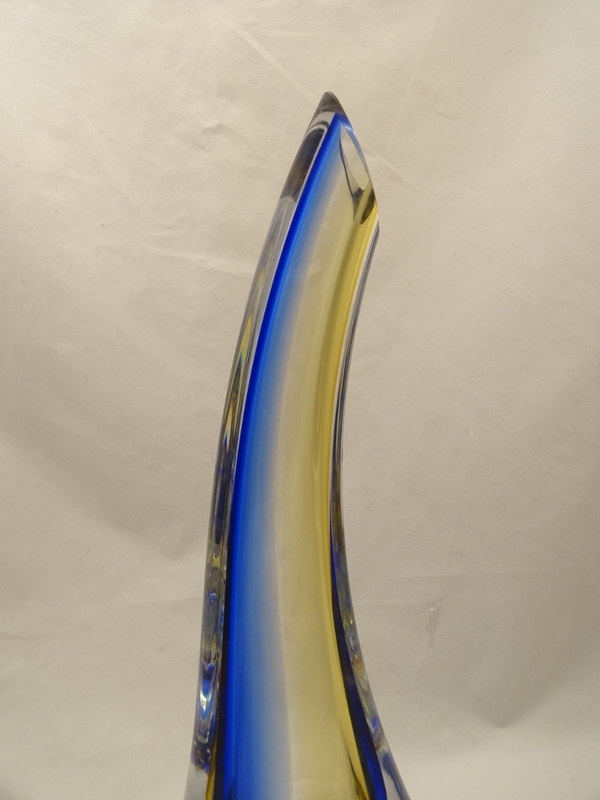 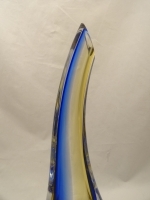 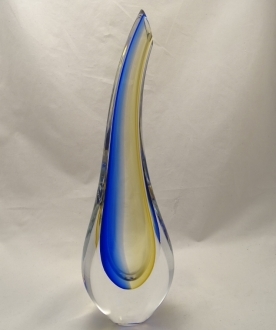 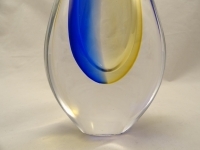 Murano Glass Vase Cobalt Blue/Amber - Murano Glass - Murano Glass Gifts Co.
colored with cobalt blue and amber yellow color. 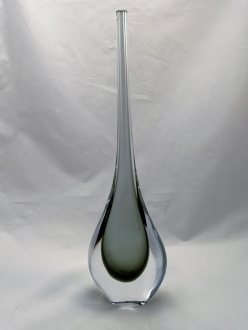 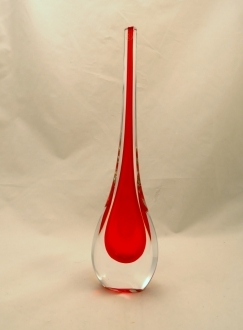 The flute neck of the vase is artistically curved to one side. 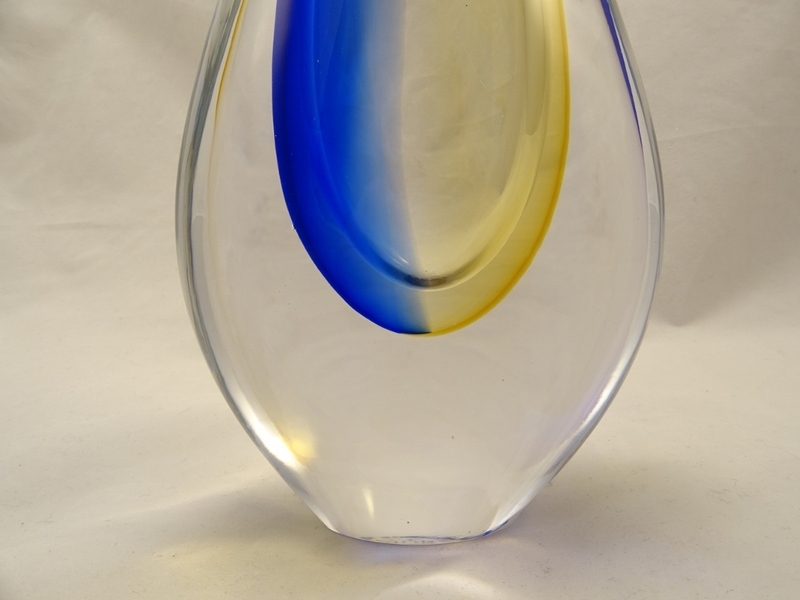 The outer layer of thick clear white glass shows off this color combination to its maximum. 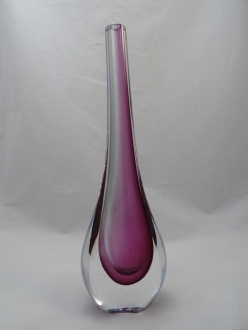 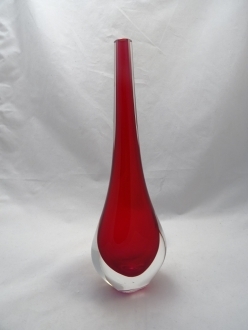 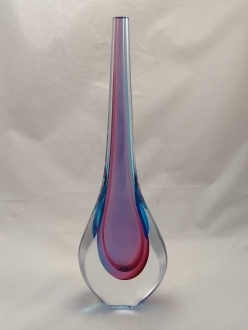 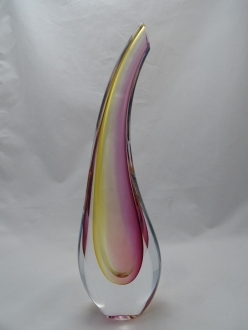 This Venetian glass vase will be an asset to any home which is into entertaining often. 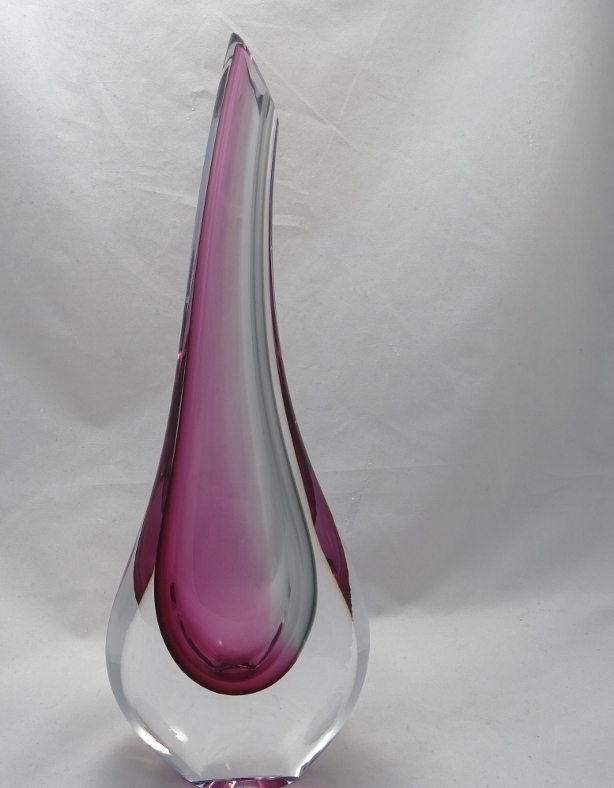 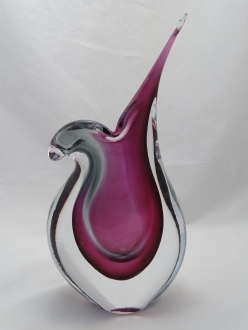 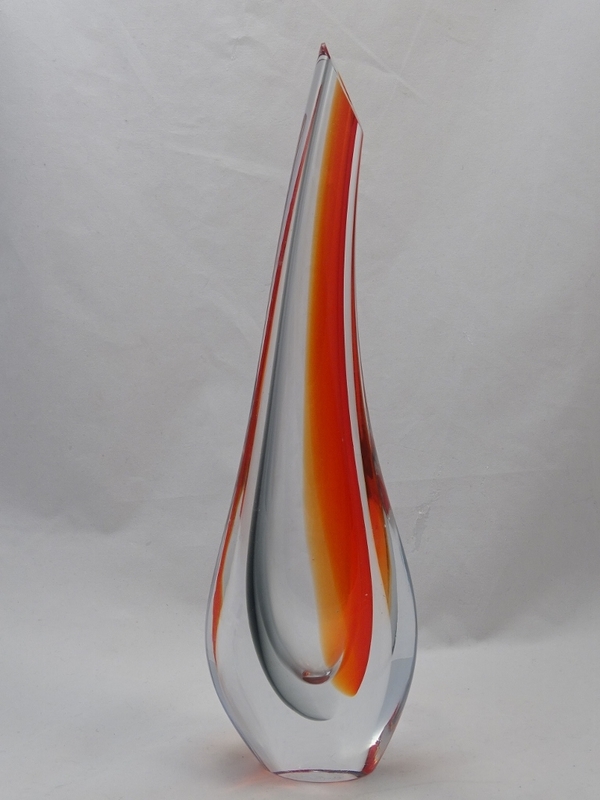 Your guests will appreciate this handsome Murano glass creation. 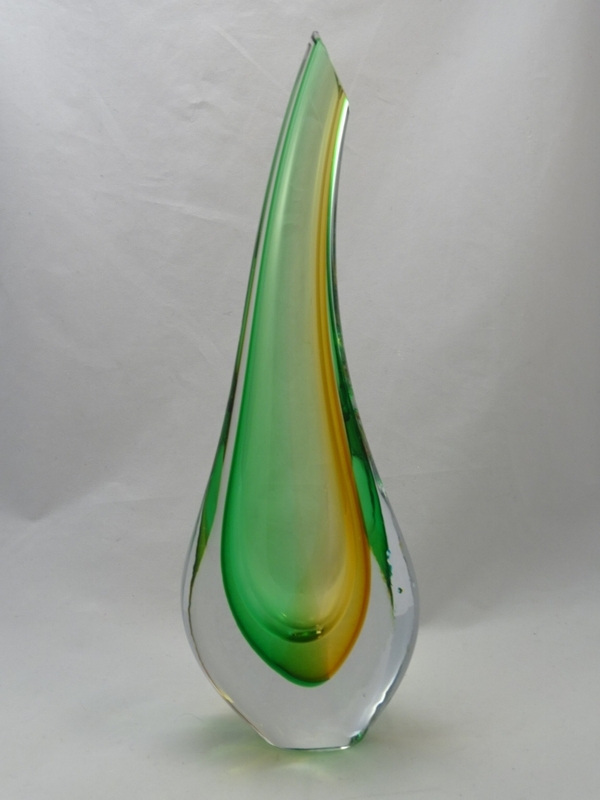 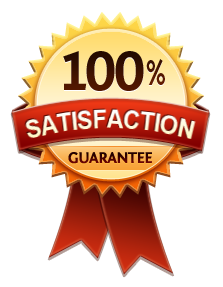 Also, it can serve as a good gift item.